Could Knowledge of Undisclosed MCAS Have Saved Lion Air 610? 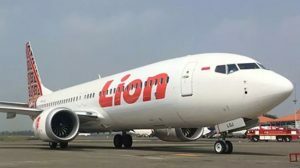 Undisclosed MCAS Have Saved Lion Air 610? existence to operators or pilots. in the crash that followed. aware of the system’s existence. controls,” according to the ASN. sensors and other airplane systems.